Donnie Dwyer covers the highlights from Fordham’s 69-63 loss to George Washington along with stats from Freshman Joseph Chartouny who missed a game with an ankle injury and the stark difference in the defensive mindset from Tom Pecora to Coach Neubauer. 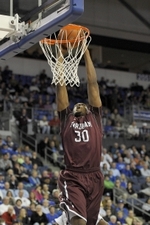 The Sports Cycle’s Donnie Dwyer talks with Fordham Basketball Freshman Forward Eric Paschall about off season, college experience, team chemistry, coaching, and how to turn around the program in the Atlantic 10. The Sports Cycle’s Donnie Dwyer discusses with Fordham Head Coach Tom Pecora the pre-season, Jon Severe, new freshman, defense, recruiting, expectations, and more. The Sports Cycle’s Donnie Dwyer is at the Barclays Center in Brooklyn where Fordham falls to Dayton 87-74 in the first round of the Atlantic 10 Tournament. In Branden Frazier’s last game he scored 30 points to go along with 5 rebounds and 3 assists. The Brooklyn Boys (Frazier, Smith, Severe) combined for 60 points in the loss. The Rams end their season with a 10-21 record. The Sports Cycle’s Donnie Dwyer is at the Barclays Center where Fordham Basketball is playing in the Atlantic 10 Tournament in Brooklyn. 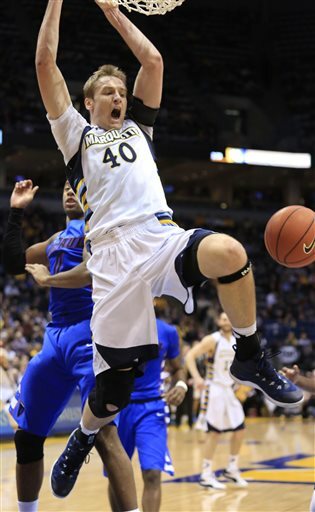 The #13 seed Rams defeated the #12 seed George Mason Patriots 70-67. Branden Frazier and Bryan Smith both added 14 points, Jon Severe added 12 points, Travion Leonard 10 points and 9 rebounds, and Ryan Canty had 7 points 19 rebounds and 3 blocks. Fordham had 50 total rebounds, 27 second chance points, and converted on 21 free throws. Next up, Dayton at 2:30 PM on NBCSN. The Sports Cycle’s Donnie Dwyer is at the Rose Hill Gym as Fordham is upended by George Washington 70-67. Senior Branden Frazier plays his final game on the Rose Hill Gym floor and put up 28 points, 8 rebounds, and 4 assists. Ryan Canty also put in a double-double of 12 points and 16 rebounds in the loss. Next up for Fordham is George Mason at the A-10 tournament in Brooklyn.